Hey, what’s new, SharePoint 2019? What are the new features in SharePoint 2019? At Microsoft Ignite in November, Microsoft announced their vision and strategy for SharePoint Server 2019. The latest on-premises iteration will incorporate some of the most impressive features from SharePoint Online to improve the overall user experience. While businesses who aren’t quite ready to migrate to the cloud will also be able to enjoy the new features in SharePoint 2019, previously only available in Office 365. One of the highly anticipated aspects of SharePoint 2019 is that it will bring major UI updates. Step forward modern experiences. Modern experiences were introduced to SharePoint Online in February 2018 to innovate SharePoint’s interface (which hadn’t been redesigned since 2002!). As Bob German, Technology Architect at Microsoft says “Microsoft is on a mission to modernize”. Modern experiences were developed to streamline workflows, allowing users to integrate their Calendar and Outlook apps and providing AI intelligence. The big change in 2019 is that this functionality, previously only available for SharePoint Online, will be made available for its on-premises users soon. So what else is coming to SharePoint 2019? AI in Microsoft Flow will be able to provide cognitive text analysis, used for sentiment analysis, identifying key phrases or translation. Users will be able to highlight text for sentiment analysis or translation within SharePoint. Images can also be scanned using image recognition and they’ll then be tagged using metadata for easier retrieval. Lists are a useful way for workers to group together necessary information, but it’s not able to group by topic rather than by file type. This doesn’t realistically address the way people work and stops SharePoint being as effective as it could be. Businesses naturally store their information in Libraries. Thanks to an upgraded OneDrive Sync client, SharePoint 2019 will now support personal and team sites. Users can now sync OneDrive files with SharePoint, meaning they can move away from software like external Dropbox and Google Suite. SharePoint 2019 has made improvements in terms of helping workers classify their documents with metadata – this is a fantastic tool for archiving information. However, the SharePoint 2019 library doesn’t treat emails like documents of records—which in all practicality they are. This remains a gap in the Microsoft offering. When there is a disconnect between SharePoint and Outlook, important information tends to get siloed away in inboxes, affecting workers’ productivity as they much search for what they need. SharePoint will notify users if they’re sharing multiple files or if they’re sharing files with a large group to prevent information breaches. These updates streamline the sharing process, allowing for more granularity or more flexibility to be applied to document permissions. This will help users share documents, but they still won’t be able to create equal visibility for the valuable information in their email inboxes. While SharePoint has prioritized document sharing, it hasn’t addressed the key information stored in emails. By distinguishing documents and emails as separate systems of record, SharePoint 2019 will continue to force users to move between different apps, wearing away their concentration and inhibiting productivity. However, since SharePoint 2019 lacks the cloud integration of Office 365, it won’t connect with Planner, create a shared calendar, or integrate with Outlook. SharePoint 2019 users won’t be able to streamline their workflows efficiently if they can’t create a single platform for information management that includes both documents and emails. These are intelligent improvements to the search functions, but they lack the AI-driven power of topic computing. By integrating topic computing, SharePoint 2019 would be able to present users with information relevant to them and suggest additional information based on the topic of the information. Microsoft has focused on including the effectiveness of SharePoint Online’s powerful and intelligent new features in SharePoint Server 2019, and it goes a long way towards simplifying and improving the user experience. But until SharePoint users can treat the information in documents and the information in emails the same way, the user experience is always going to be somewhat disconnected. 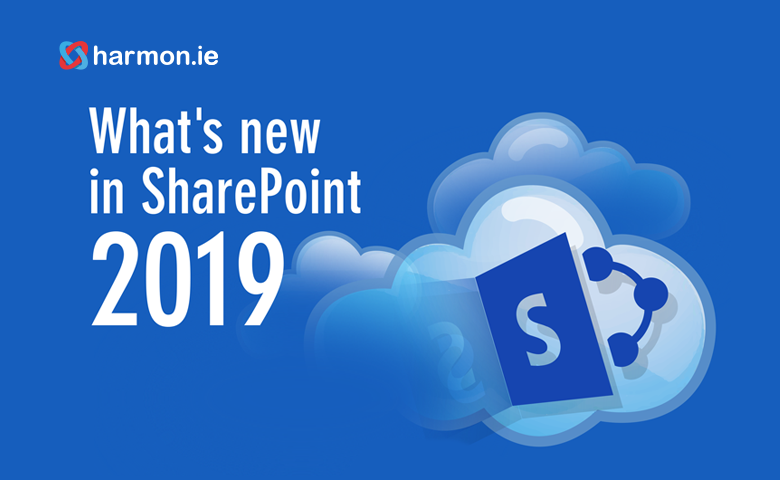 harmon.ie offers the perfect solution to integrate your email inbox and SharePoint library, creating a single system of record to improve information management. With harmon.ie, businesses can drag and drop emails from Outlook into SharePoint, saving and classifying the information.